Whether you refresh your kitchen cupboards or need the perfect gift for a wedding or to new home owners, this kitchen starter set from Le Creuset promises everyday essentials. 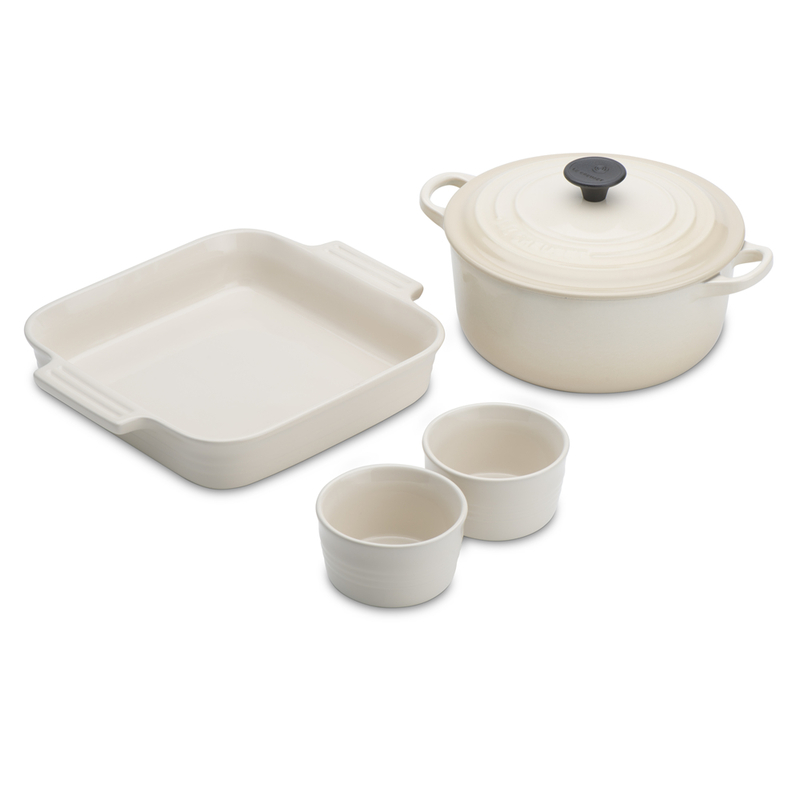 The set comprises of a 20cm cast iron round casserole, and the following stoneware items; a 23cm square dish and, a pair of ramekins. The cast iron casserole is oven safe to 190C, while the stoneware pieces are suitable for temperatures of up to 260C.